Fully adjustable thigh holster with quick release buckle system. 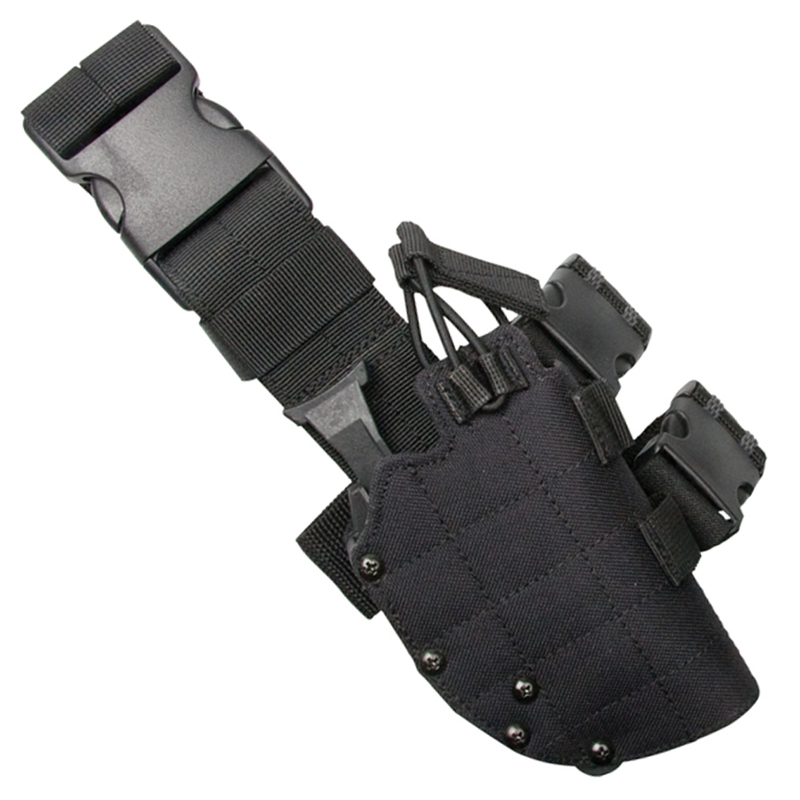 The rigid height adjustable strap lets you place the holster in the ideal position for a fast draw. An extra-strong bungee retention strap keeps the gun securely in the holster during even the most rigorous activities. The side release buckles let you take it on and off quickly.